Polish Obsessed: Two Sally Hansen's for the price of one! Two Sally Hansen's for the price of one! I have been having internet issues the last week, hopefully everything is under control now and I can get back to my regularly scheduled posting. I ended up giving in on Wednesday last week and checked out what Shoppers Drug Mart had to offer for their three hour BOGO polish sale. They had a lot of new collections displayed including Sally Hansen, Essie, Nicole by OPI, Rimmel, Essence, Nails Inc., L'Oreal just to name a few. The selection in my store has grown significantly and was lit and displayed very well! I doubt that it was apart of the promo, but they have cute polish gift sets from Quo, Essie and Nicole by OPI as well. I picked up Sally Hansen Complete Salon, Over the Rainblue and Triple Shine, Sparks Fly. 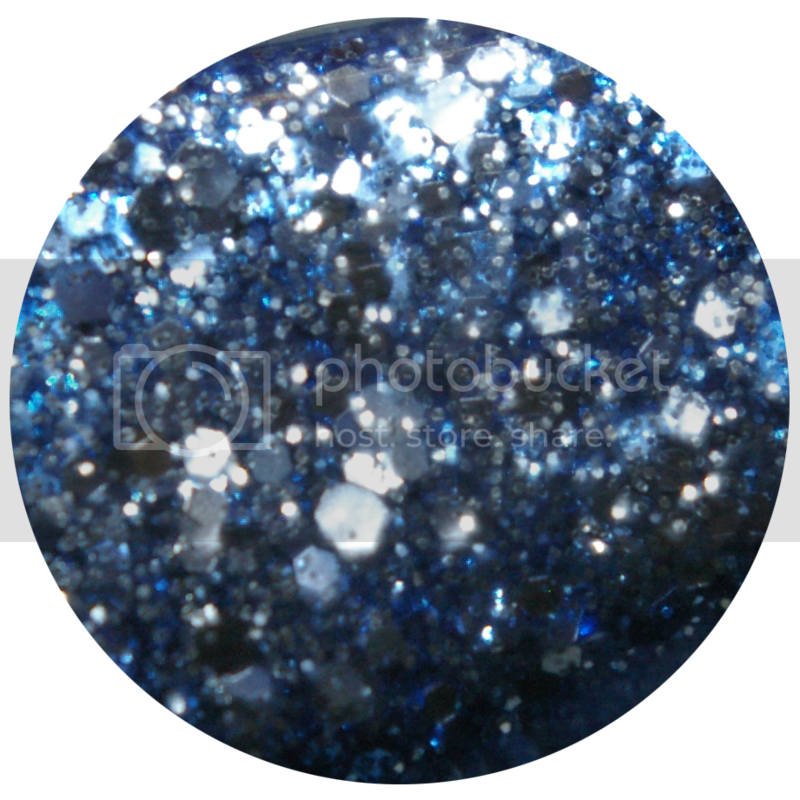 Over the Rainblue is a limited edition glitter topper, although I wish it was dense enough to be opaque. 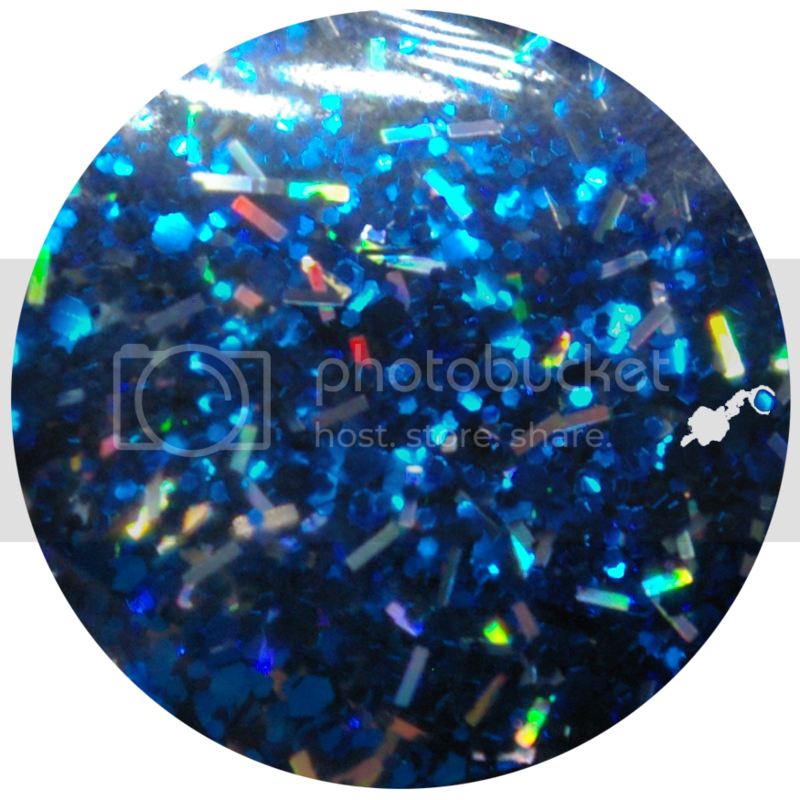 It is composed of various sized/shaped blue/holo glitter in a clear base and is so pretty! The way the light hit it in the store I knew I had to have it! I will have to experiment with layering or something to make it denser looking on the nail. Sparks Fly is also a glitter topper comprised of various sized silver glitter in a light cornflower jelly base. The base if really subtle, I wish it were more prominent to build up to opacity, however I don't think that will work for this polish. I paid around $8.50, which makes each polish $4.25, not too bad! Did you pick up any polish durring this event? Nice! I assumed there was a limit of two, i'll have to take full advantage of this promo next time!